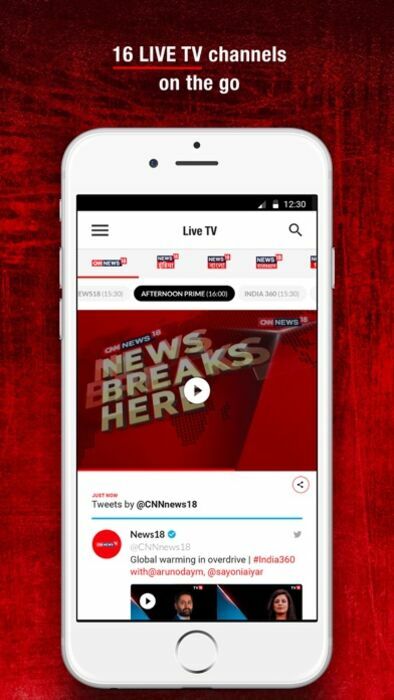 News18 is the flagship digital news destination of Network18, India’s largest news and media conglomerate, and is also the digital face of the News18 network’s leading television news channels that include market leaders such as CNN-News18, News18 India, News18 Lokmat, News18 Bangla and many more. News18 is currently available in 11 different languages spanning the length and breadth of India. 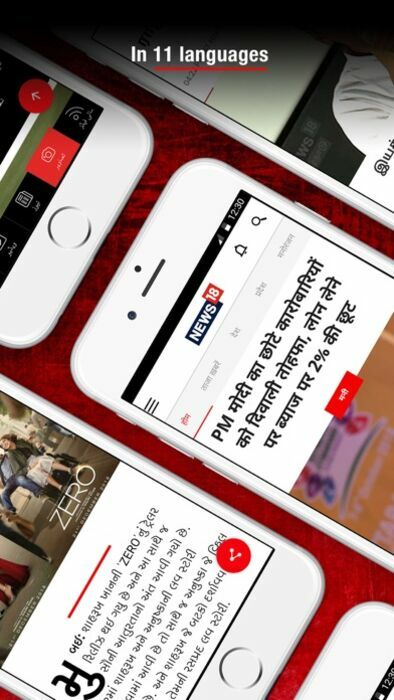 The News18 app offers news and live TV in English, Hindi, Bengali, Marathi, Gujarati, Kannada, Tamil, Malayalam, Telugu, Punjabi and Urdu. The app allows you to select the language of your choice and set your default television channel. News18 offers you a personalized news experience, based on your interests. Select the categories of news you are interested in, and find a personalized feed of curated news based on the categories you have selected. 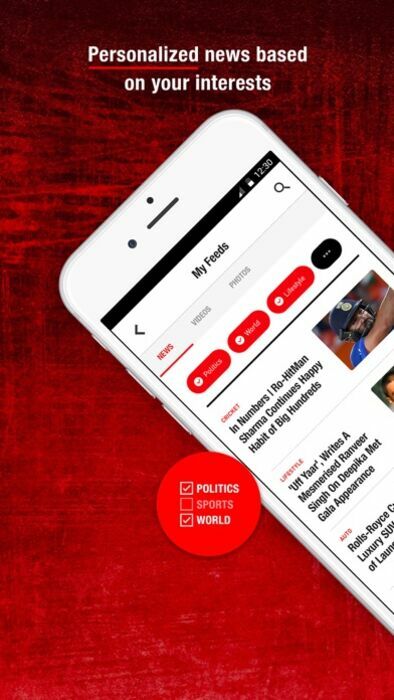 News18 offers a wide range of news categories: Politics, Technology, Business, Gadgets, Sports, Auto, Lifestyle, World, India, Health & Fitness, Football, Cricket, Opinion, Entertainment. 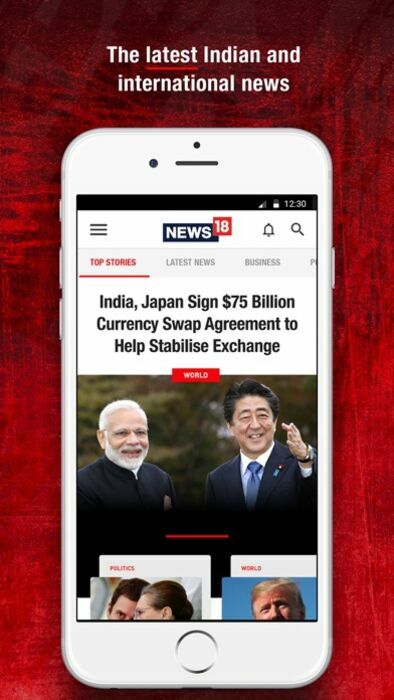 News18 is a multi-platform news destination and is an amalgamation of the highest standards of journalism and cutting-edge technology and design. 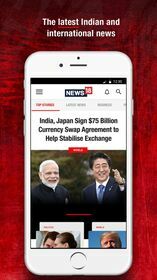 The News18 app brings you the latest news across text, photo, and video formats. 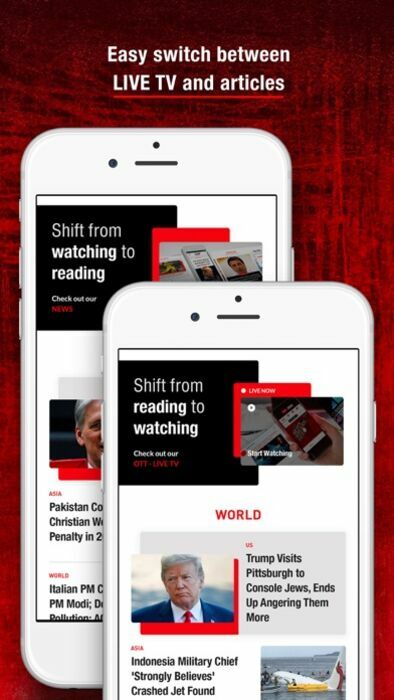 You can easily switch between reading the news and watching it live on television in the language of your choice. If you see something you want to come back to, you can bookmark it and visit it later. You can save articles, photos, and videos in your bookmarks. If you know you are going to have poor network connectivity, you can download articles, photos and videos to consume later in offline mode. News18 is known for its high-quality and award-winning journalism and is one of the top digital news destinations in India. News18 draws its strength from its unmatched network of thousands of journalists who bring in the news as it happens from every nook and corner of the country. This also makes News18 the default destination for any breaking news.